Committing to reconciliation — RandallAnthony Communications Inc. This shared desire is evident in a recent poll conducted by the Environics Institute, where more than eight in 10 of those surveyed said they believe individual Canadians have a role to play in helping to bring about reconciliation. 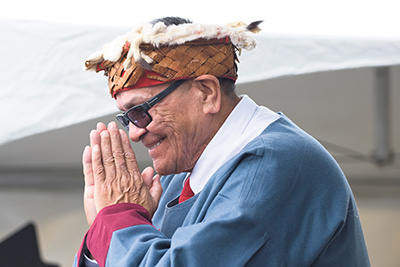 The findings mirror Joseph’s experiences travelling across the country as co-founder of Reconciliation Canada, a charitable organization dedicated to creating dialogue and revitalizing the relationship of aboriginal peoples and all Canadians. In his vision, Joseph was told that he was loved, that he was part of creation, he recalls. With learning to love himself and feeling connected came the desire that everyone, especially children and youth, would have the same opportunity, says Joseph. “We all should have a sense of purpose and feel valued. When we were little, we didn’t get any of that at school – that was a debilitating experience. “It’s hard to understand why we’ve come so far down the road of separation,” says Joseph, who adds that he is pleased with the progress towards reconciliation that is currently being made. “For example, our prime minister has committed to address all 94 calls to action recommended by the Truth and Reconciliation Commission,” he says. Additional recent milestones include the government’s promise to implement the United Nations Declaration on the Rights of Indigenous Peoples, the Daniel decision that recognizes Métis and non-status Indians under the jurisdiction of the federal government, and the Canadian Human Rights Tribunal ruling that recommends increasing the funding and support to allow First Nations to deliver their own child welfare, says Joseph.